Welcome to the website for the Law Offices of Stephen L. Waldman. Stephen L. Waldman is a San Diego personal injury attorney who has been handling serious injury and wrongful death claims throughout Southern California for more than 25 years. Representing clients at trial, arbitration, mediation and settlement of their legal matters since 1992, Mr. Waldman has recovered compensation for his clients, in the form of verdicts and settlements, in excess of $30 million. Over the course of his career, Mr. Waldman has been recognized as one of the top plaintiff personal injury attorneys in San Diego, as well as a highly effective and skilled litigator, trial attorney, negotiator, and a compassionate and highly ethical lawyer. Free ConsultationHave you suffered a serious injury? Your case is handled on a contingency basis - there is no fee unless a recovery is obtained. Personal Injury cases are handled on a contingency fee basis which means that there is no fee unless a recovery is obtained on your behalf. The firm also advances the litigation costs incurred for our clients on personal injury cases, and, when we do, if we do not recover for our clients, the firm absorbs the costs advanced. Consultations are provided free of charge. Representing clients at trial, arbitration, mediation and settlement of their legal matters since 1992, Mr. Waldman has recovered compensation for his clients, in the form of verdicts and settlements, in excess of $30 million. 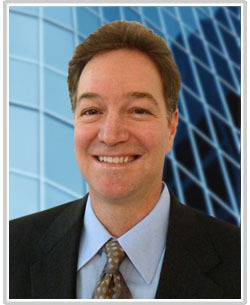 Mr. Waldman has been recognized as one of the top plaintiff personal injury attorneys in San Diego. © 2017 Law Offices of Stephen L. Waldman. All Rights Reserved.